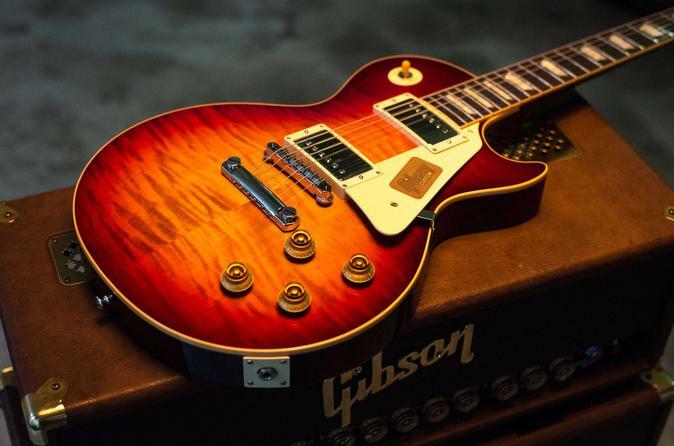 Experience our complete Gibson Factory tour in downtown Memphis. Our tour consists of an intimate viewing of this amazing facility as Gibson's skilled Luthiers craft some of the finest guitars in the world. You will witness the devotion, and the passion that goes into each and every American made Guitar. Today's Gibson electric guitars represent the history as well as the future of the electric guitar! Located on Beale Street in downtown Memphis. This 45 – 60 Minute memorable tour of Gibson's Memphis guitar factory consists of an intimate viewing of the facility as Gibson's skilled Luthiers craft some of the finest guitars in the world. This is an exciting opportunity to witness the intricate process of binding, neck-fitting, painting, buffing, and tuning that creates these incredible musical instruments. See and hear how Gibson has helped shape the world of music for over 100 years and continues to set the pace for the musical innovations of tomorrow. Your expert guides are enthusiastic and extremely knowledgeable about Gibson as well as the history surrounding the factory. Come to the birthplace of the blues and learn about the guitars of legends. If you have a car there is parking in the Gibson parking lot, located directly behind our factory. Parking is $5/day for non-event days.